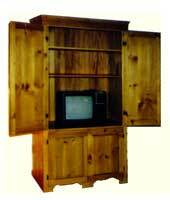 Artisans has completed a variety of Freestanding entertainment centers including this unique creation. Our client's design is based on a Mission foundation using natural finished cherry and walnut to create a contrasting look. 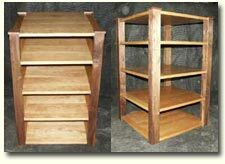 This open shelf design provides plenty of ventilation for your equipment, offers a classy modern appeal, and turns a pile of equipment into furniture. 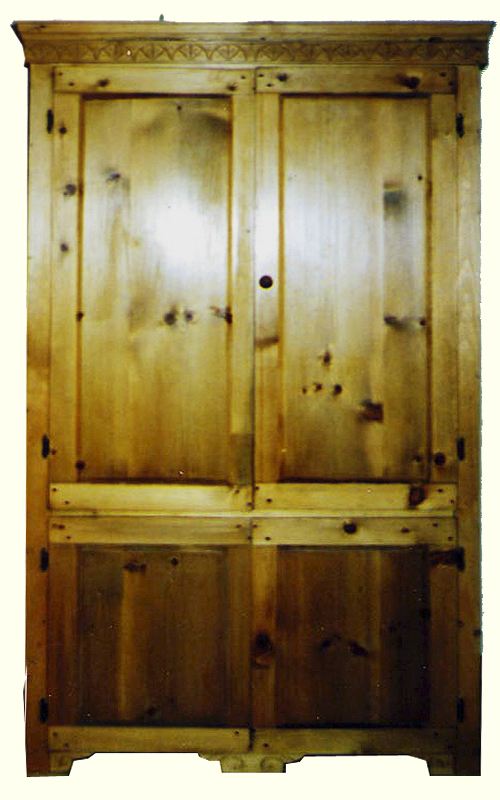 Featured below are some of the freestanding units completed by Artisans a few years ago. These units offer the look and feel of furniture, while concealing modern equipment. 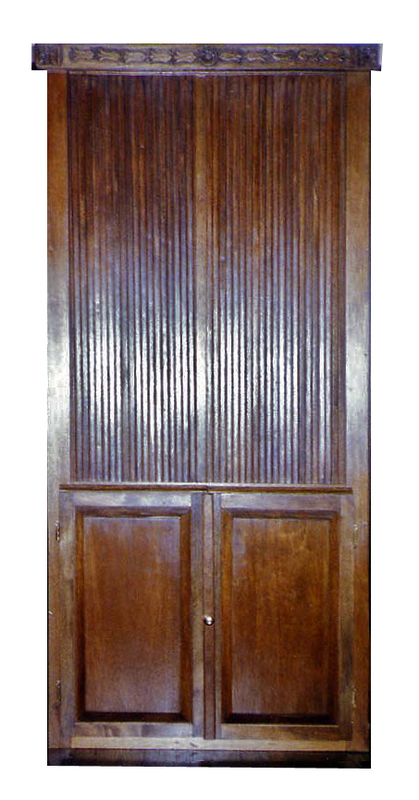 The units shown are easily dated by the electronics shown, however, these to these armoire style entertainment centers easily accommodate upgrades in technology. 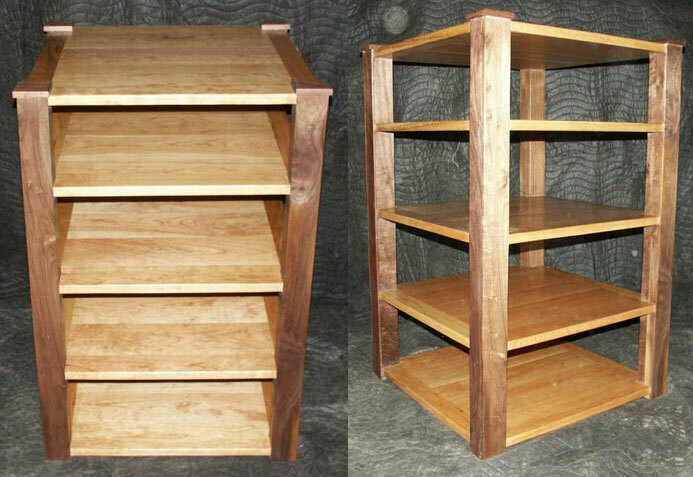 These examples show how an entertainment center can actually become furniture instead of an equipment storehouse.